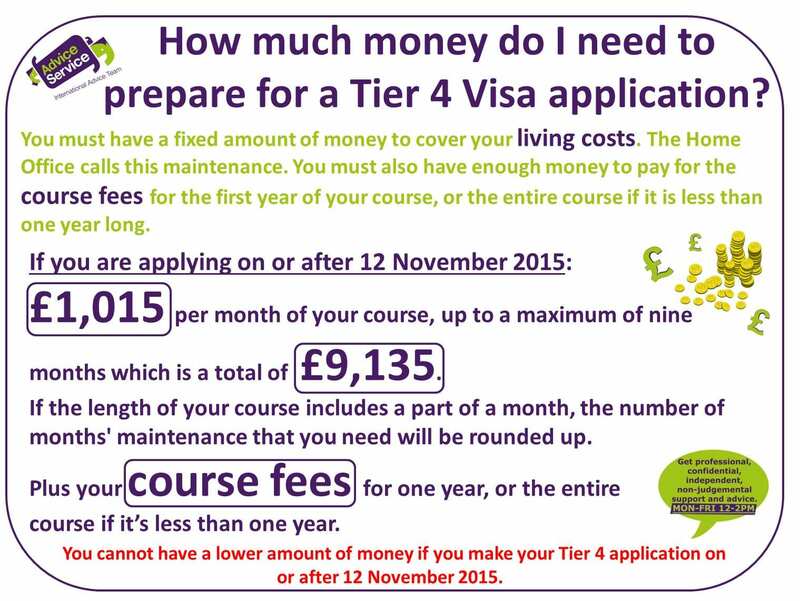 The information that we provide is based on the Immigration Rules, on the Tier 4 Policy Guidance and on the application forms issued by the Home Office for Tier 4 (General) applications. We try to update the information as soon as any changes are made by the Home Office but we recommend that you always read this information alongside the information on the UK Council for International Student Affairs (UKCISA) website and the latest Tier 4 Policy Guidance which you can find on the Home Office website. Also, if you choose to print any of our webpages or guides, we advise that you read them alongside the most up-to-date information provided by UKCISA and the Home Office. 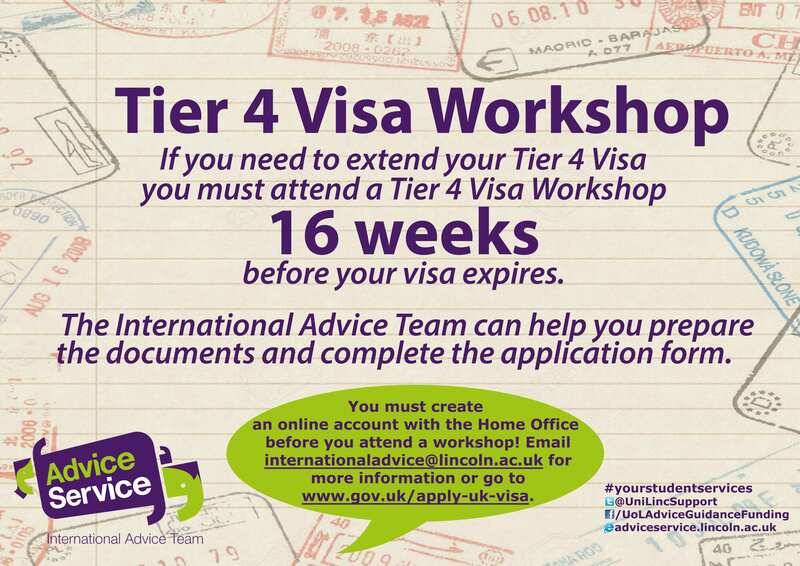 If you need to extend your current visa the International Advice Team organise Tier 4 Visa Workshops every Tuesday at 5.30pm in the Library room 101. 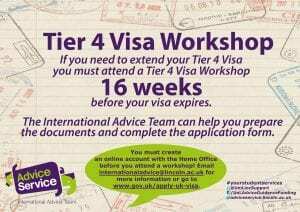 During September and October the workshops happen more frequently, please contact internationaladvice@lincoln.ac.uk for more details.